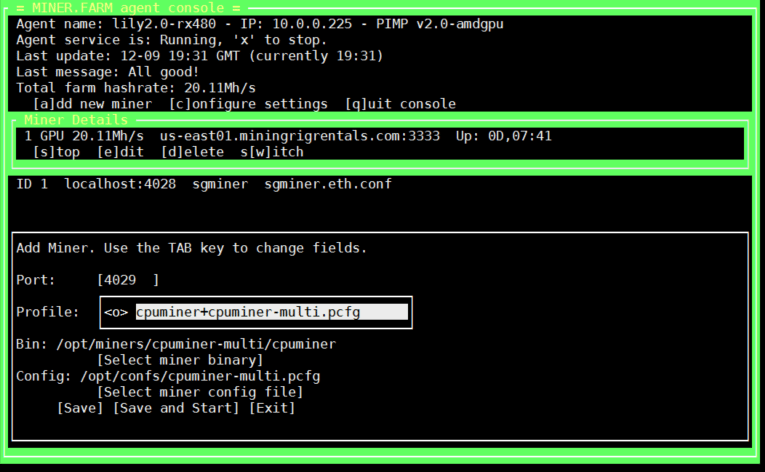 How to Mine Crypto with AMD RX480/RX580 GPUs – The Fastest and Easiest Way | PiMP OS and Miner.farm: the fastest and easiest way to mine ALL crypto currencies. Dont want to tinker? In less than an hour you can mine crypto on your AMD RX480s and RX580s with optimized settings. 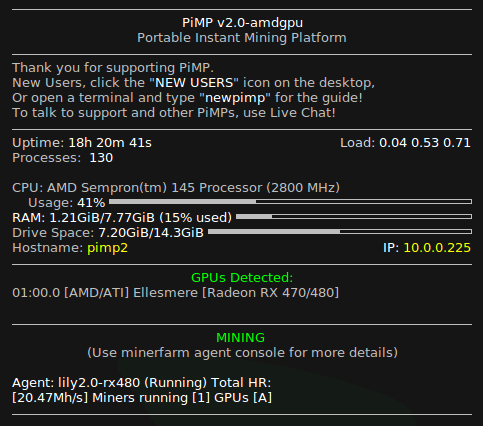 PiMP comes with AMD RX480/580 GPU mining support ready to go. Don't miss out on mining with your AMD RX480s/RX580s!!! 5. Start mining with your RX580! Start Mining with AMD RX480s/RX580s NOW! Only $35!